I do apologize for this late release. As, I've got some problems with ma other projects(Work). But, as always, here is your expected application "Toggle Mod v6.1". Just for you all, ma bros & sis. Enjoy the gameplay lads :). NOTE - You need to un-install the previous application before installing this one. MiniMilitiaMods-UPDATED-v6.1-RevealedTricks4U.com.apk - Future downloads will be user friendly as this. - Click on Skip Ad after clicking this link, to get the download page. Google drive links... Awesome... Now fast speed as well... Great.. Thank you sir... I would really like to learn these tricks.. Is there a tutorial or something?? Tutorials are floating around the internet, just have a Google search with right keywords. Bro mostly the results are related to editing the memory by game killer etc .......can u plz provide the link where i can learn modding just like u......grt fan of ur work. Thnx in advance. Can you please tell with which applications do you make this mod. I want to learn modding apps. Am afraid I can't provide names in public, may be pm me. Thought of releasing the beta version around the end of this month. It's still in development mode. Ya the dual wield is bugged when you play in Quick play, it's not fixable as their server got some protection. give mod of new version apas.. It is working btw. Alread tested!. If the ticks getting removed automatically, then the mod app has some compatibility issues with your device. Please give me some device information. Yea buddy, everything is alright. It's already in my todo list, i'll update them as soon as I get time. I'll add it to my list. Btw, I wanna check it if it's possible or not. Thanks for those kind words Bobby. U r a brilliant guy shihab!! And, here is your new update. 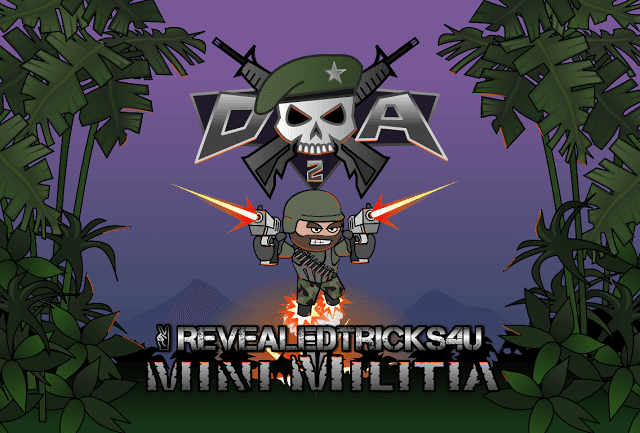 Make A Lucky Patcher Patch For Mini Militia Thats Works For Non Root Users Also. Please contact the developer of Lucky Patcher. Could you please look into it and suggest me something. It seems CM 13's window manager causing the problem. Isn't the WindowManager related to ADS? The patched game completely crashes each time. Please upload a update of v2.2.52 asap!! Dual Wield is not working only one gun bullets are working, is there any solution ??? Dual wield only works in local multiplayer or single player mode. In some devices, it might not show the second gun's bullets trace. when in unlimited ammo mod..when others pick our guns..it has no bullet..is there a fix? Ask any one of others to host the game. Bro,Can you update before a newer version release.Waiting for more than 10 days lol. Please be specific and provide more information on what problem you're facing.